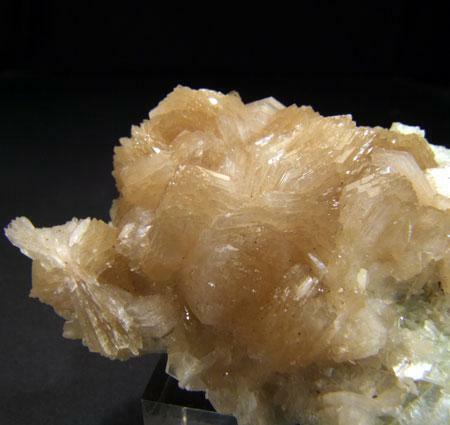 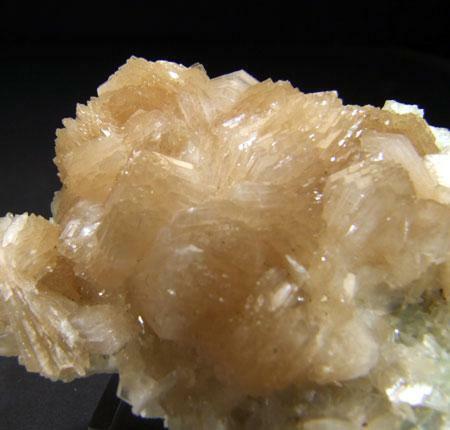 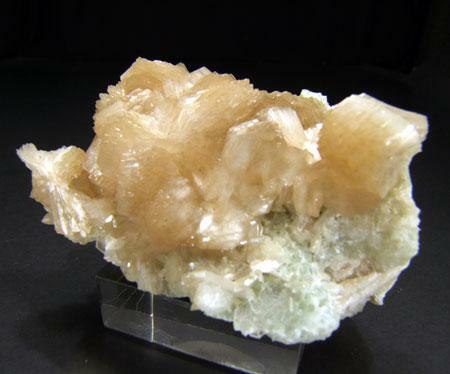 An attractive combination of translucent tan coloured wheatsheaves of stilbite on a subtley contrasting light green prehnite matrix. 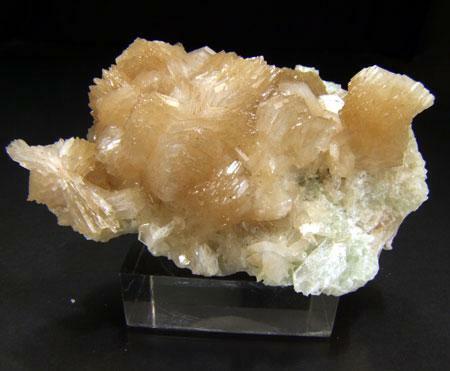 An elegant miniature from this now defunct location in metropolitan Sydney. 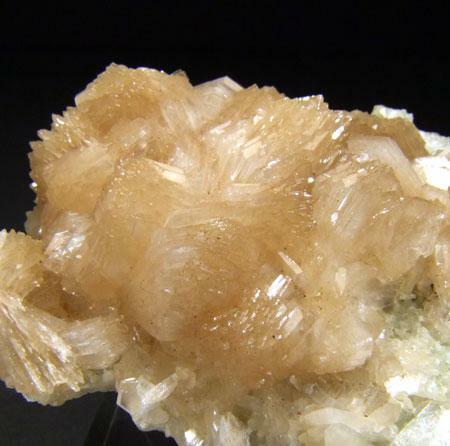 I acquired this specimen as part of a small collection from a retired quarry worker in the early 1980's, the quarry had been closed to collecting for nearly a decade then.